Many people have commented that we have the best stands of corn and soybean across the state that we have seen in many years. 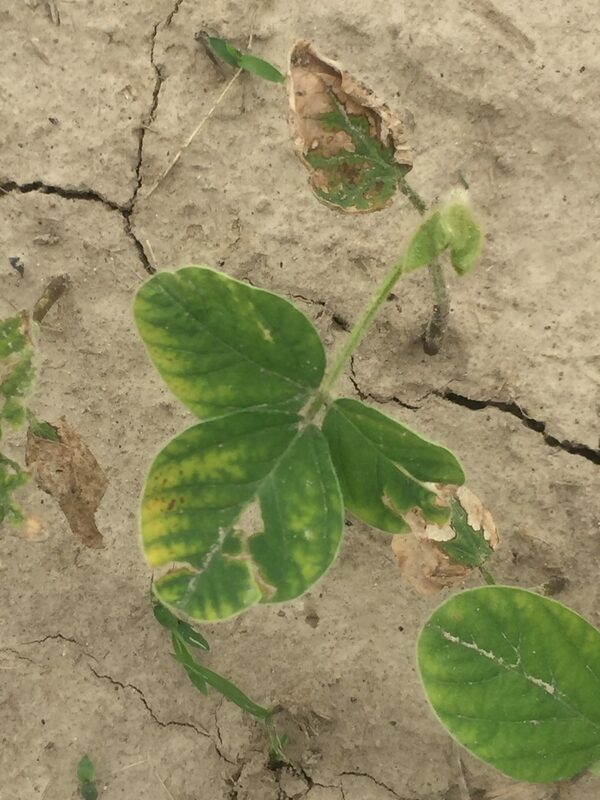 Our dry planting window certainly helped get crops uniformly established, but now we have been receiving many questions about herbicide carryover injury on crops this year. 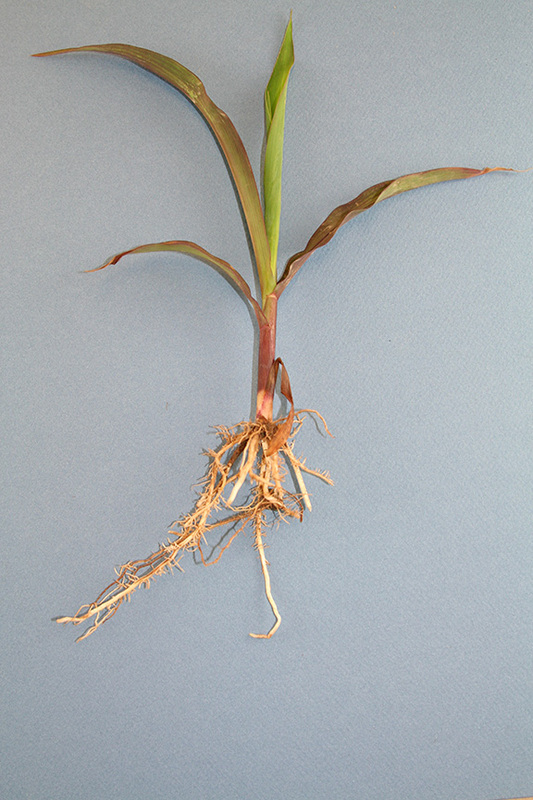 interactions between the herbicide and soil conditions. 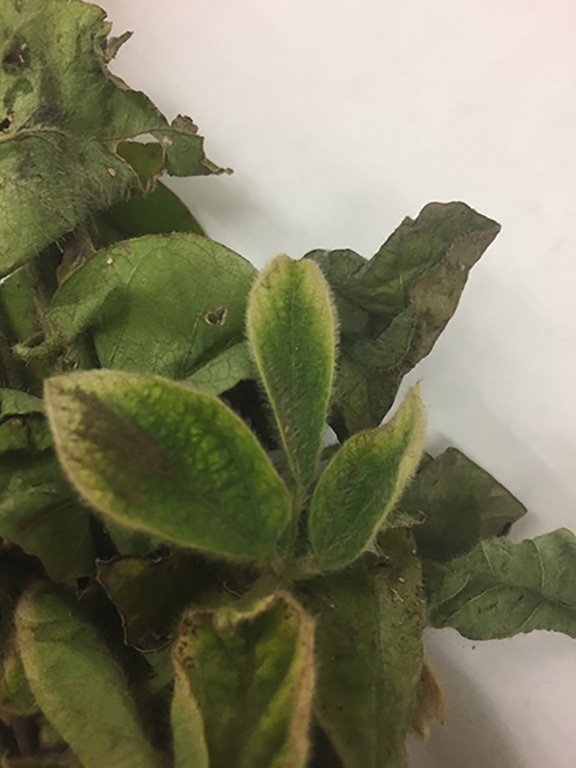 Weather is usually the driving component whenever we see injury from a wide variety of herbicides applied the previous year. While we have not been as dry as areas in the western corn belt, a look at our total precipitation from August 1st 2017 until June 1st of this year shows a large area of the state had 4 to 6 fewer inches of precipitation than normal (figure 1). We also were colder than average across most of the state from November until the record-breaking heat in May of this year (figure 2). Dry conditions, combined with a cold winter provides the perfect set up for herbicides to persist into the following growing season. We also can’t forget the fact that there were many late applications of herbicides last summer after we experienced a record year for replanted acres that also saw delayed canopy closure, and persistent waterhemp, giant ragweed, and marestail pressure throughout the summer. With the right set of weather and application circumstances, the next question to ask is what product was sprayed, and when. There are certain chemicals that have a higher risk of persisting in the soil and causing injury in subsequent years. We have seen issues with atrazine (figure 3), fomesafen (Flexstar, others; figure 4), mesotrione (Callisto, others; figure 5), chlorimuron (Classic, others), and imazethapyr (Pursuit; figure 6). With the exception of mesotrione, all of these chemicals have long half-lives, which is the time it takes for ½ of the chemical to degrade, under most soil conditions (40 to 100 days depending on the chemical). In general, most herbicides are broken down by chemical or microbial processes. Whenever we have dry conditions, the half-life can last longer, since many microbial and chemical processes that degrade herbicides are driven by moisture, and these processes slow down or halt completely in dry and/or cold soil conditions. Lastly, in addition to increased risk of carryover due to environmental conditions, there are certain soil properties that increase chance of injury with some herbicides. The sulfonylureas (chlorimuron, others) and atrazine are not readily broken down in soils with pH higher that 6.8, while imazethapyr is more likely to cause injury in subsequent years in soils with a pH lower than 6.5. Since soil conditions are never uniform across a field, this means that injury will sometimes show up in pockets of high or low pH. 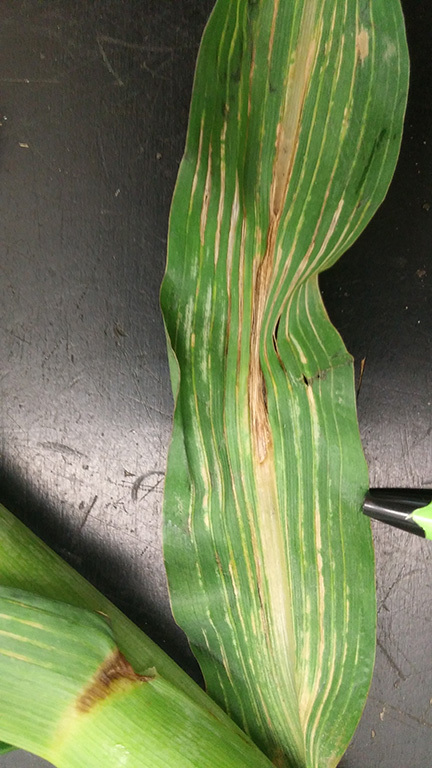 Fields with sandy knolls can also experience spotty injury when those sandy areas are relatively drier compared to the rest of the field. Add all these factors together, and some areas of the state had the perfect storm of conditions to experience carry-over issues in 2018. Moving forward, how do we minimize the chance for herbicide carryover for the 2019 growing season? First of all, read the label, specifically the “crop rotation intervals”. Every herbicide will have a statement on the label that specifies the interval that must elapse before rotational crops can be planted. In almost every case of fomesafen (Flexstar, Prefix, others) carryover, a July or later application was made in 2017. With atrazine, higher rates applied in June were problematic. 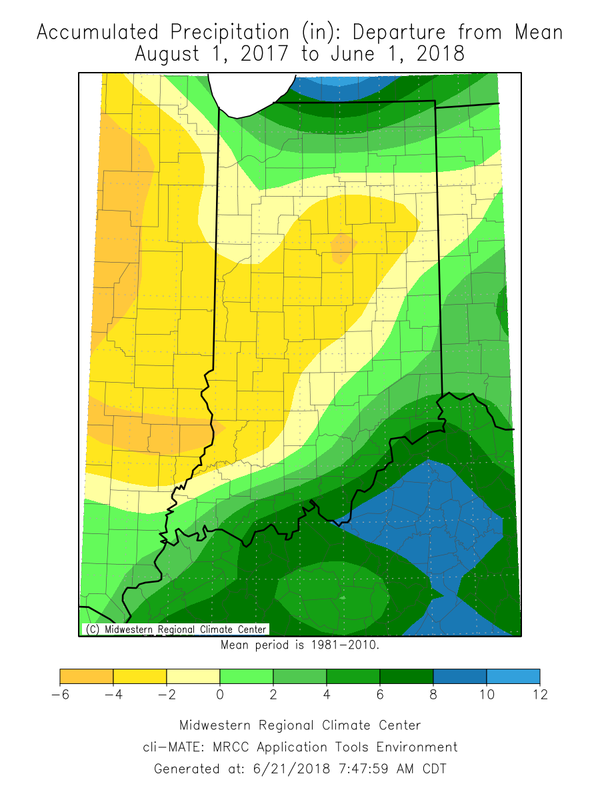 For most of the herbicides that can cause carryover problems in Indiana, the recropping intervals are 9-10 months. So, late spring or summer applications combined with dry fall weather and a cold, extended winter will make one realize that these rotational intervals are on the label for a reason. If you know going into the following growing season that your weed management program and weather was a good set up for carryover problems, the simplest thing to do is to plant the same crop in that particular field that was planted last year. The second strategy to consider is tillage. Tillage will help to stimulate microbial activity and also dilute herbicide residues by mixing the soil. If using tillage to minimize herbicide carryover, it needs to be aggressive and ideally some tillage is done in the fall and also in the spring. The third issue to consider is soil pH. As stated above, extremes in soil pH can cause some herbicides to be more persistent. A target soil pH of about 6.5-7.0 will reduce carryover potential of most of the herbicides we use in Indiana corn and soybean. If you know of isolated areas in a field with pH extremes, we now have the technology to map these areas out and apply corrective measures to smaller areas of a field.